Maciah is using Smore newsletters to spread the word online. 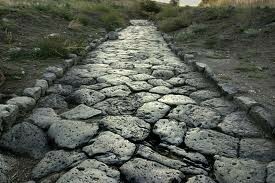 All Roman roads were straight. You can still see some of the roads today; two thousand years after they were built. The roads were often used for trade. They were the first ancient civilization to build paved roads.